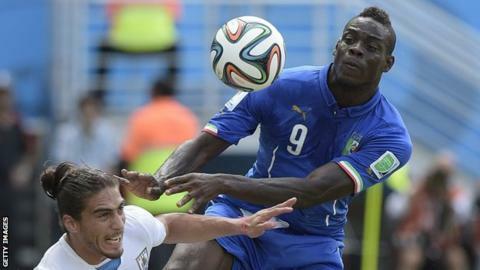 Mario Balotelli will make an immediate impact at Liverpool, according to Kevin Kilbane. The former Manchester City striker, 24, is set to complete a £16m move to the Anfield club from AC Milan on Monday. "Mario is an impact player, will make a difference straight away and might be what Liverpool need," said ex-Everton winger Kilbane. Fellow Match of the Day 2 Extra pundit Shay Given agrees. He thinks Balotelli will thrive under boss Brendan Rodgers. The Italy international will not sign in time to face his former employers in Monday night's Premier League match at the Etihad Stadium. Balotelli, who is expected to sign a deal worth close to £120,000 a week, had a colourful two and a half years with City, a spell punctuated by flashes of brilliance and episodes of indiscipline. Liverpool have sought assurances from Balotelli about his commitment and off-field behaviour and ex-City keeper Given, currently with Aston Villa, thinks Rodgers is the man to bring out the best in him. "Balotelli is in his mid-20s," said the former Republic of Ireland keeper. "The penny is going to drop that he needs to grow up and focus on football. Brendan Rodgers is a great manager and will sort him out." Given thinks tabloid tales of Balotelli's alleged indiscretions are exaggerated. "A lot of stuff you read about Mario is pie in sky, or firework in the sky," he said. "I was with him at City. He is just a big kid. He does silly things in the changing room and winds people up." Given added that if Manchester United target Angel Di Maria is worth £60m, then £16m for Balotelli is a "bargain". "He is an Italian international and I think it is a great deal," said Given. Kilbane also believes Rodgers will bring out the best in Balotelli. "The amount of dysfunctional kids Brendan Rodgers had to nurture when at Chelsea," he said. "There were question marks over Daniel Sturridge and Raheem Sterling when they went in at Liverpool and look where they are now." Balotelli v Suarez: Why always them?